Alfred Stannard was born in the year 1806, the brother of Joseph Standard. Being nine years younger than Joseph he became his pupil at an early age. Several works are recorded upon which both Joseph and Alfred worked. 1820 He is first recorded as exhibiting Study of Old Man in 1820. He was described in the catalogue as Master A. Standard. This was followed by a group exhibits in 1825. In 1827 he married a Miss Sparkes and the following year his illustrious daughter Eloise Harriet Stanndard was born. In all he had fourteen children including Alfred George Stanndard. With the loss of his brother Joseph in 1830 Alfred concentrated his efforts in his studio in Upper King Street, Norwich. From this address he dispatched numerous exhibits to the British Institute and Suffolk Street Exhibitions. Alfred Stannard also took pupils at his King Street Studio and it is said that his wife assisted with this work. In the 1840s tragedy struck the Stannard household, causing Alfred to lose three of his children and his elderly mother. 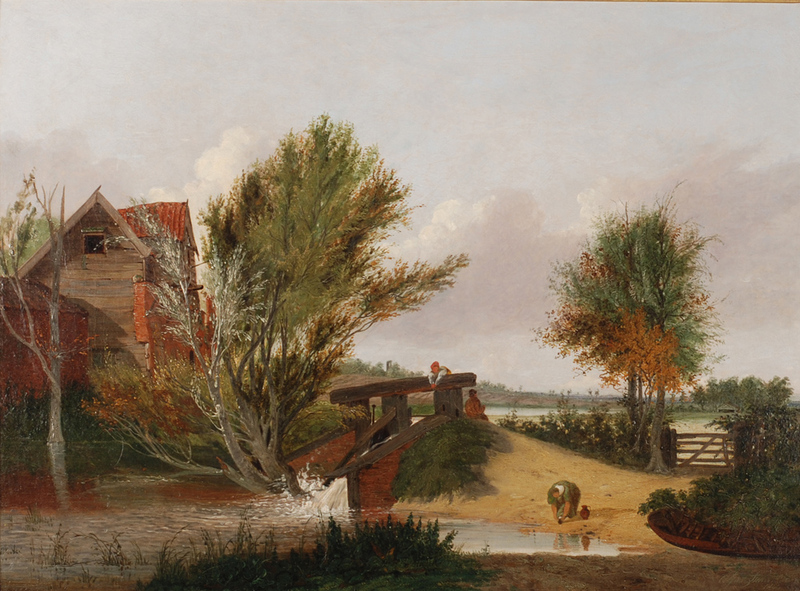 Despite all these reverses Alfred continued to paint fine pictures, and in 1852-3 painted one of the finest pictures of the whole of the Norwich School. Scene at Trowse, Norfolk. 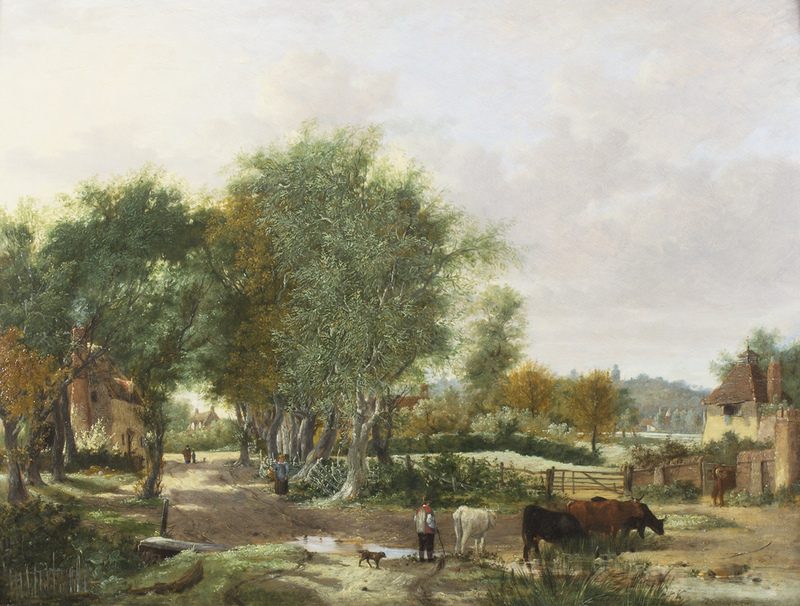 This painting depicts old Trowse Hall and its environs together with a distant glimpse of the City of Norwich. At the end of his life Alfred Stannard became something of a legend in his life-time, being known as one of the last of the Norwich School painters to have known the great John Crome. The early work of Alfred is strongly influenced by his brother Joseph; occasionally he signs his name. It is said that as a boy Alfred had lessons from John Crome. This influence is certainly felt in the early landscapes.